 Pool & Spa Blog Archives - Pool & Spa Creations, Inc.
Winter is over! Our 50-degree weather that prevents us from swimming two months out of the year has turned to sunshine! Isn’t it the worst when you go out to make sure your pool is swim ready and the water is so low the top step is dry?!? First and foremost we are in the State of Florida. It is necessary to understand that water loss is expected during certain times of the year. There is the possibility you may not actually have a leak…want to make sure? 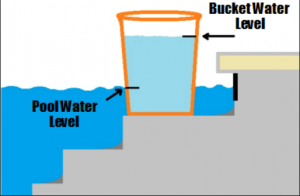 Plain and simple the bucket test. There are a variety of things you can do to determine where you may have a leak. One: Let the water drop until it stops. If it does not stop when it is below the light fill it back up. The leak is in the floor (main-drains, or floor returns/floor heads). At this point you will need to spend the money and call a leak detection agency or pool company to identify where the leak is and give you a cost estimate on the repair. If the leak stops at the waterline tile, your leak may be in the tile line. Remember that leaks are not only in the visual side of your pool. It is possible the leak is in the equipment, pipes or plumbing under the deck. An example of that is in a return line, or even the skimmer. Two: Check for a leak with a dye test. We do not suggest actual dye but rather using the phenol red from your chemical test kit. Dye test: Turn off your system. Squirt the phenol red dye around each of the returns, lights, and even main-drains (this is performed one at a time) if the dye is sucked in, you have a leak. You can do the same along the waterline tile as leaks occur there as well. The only way to be certain you have a leak and to have it properly fixed is to contact your local leak detection company. Make sure to have all leaks addressed before having your pool refinished, or let your applicator or pool contractor know you are dealing with a leak. Do not expect it to automatically be addressed. We can’t fix what we don’t know is broken! April 20, 2018 /by Pool & Spa Creations, Inc. 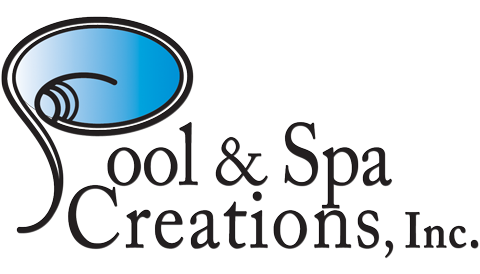 Pool & Spa Creations, Inc. Pool & Spa Creations, Inc. is a Florida licensed swimming pool and spa contractor; serving St Petersburg, Clearwater, Largo, Tarpon Springs, Dunedin, Seminole, Pinellas Park, Kenneth City, Palm Harbor, Gulfport, Tierra Verde, Countryside, St Pete Beach, Pass-a-Grille, Treasure Island, Madeira Beach, Redington Shores, Redington Beach, Belleair, Belleair Beach, Belleair Bluffs, Lansbrook, Trinity, Safety Harbor, South Pasadena, Clearwater Beach, and Bay Pines. New swimming pool & spa construction, swimming pool & spa repairs and swimming pool & spa renovations; re-surfacing swimming pools & spas, swimming pool tile and coping, swimming pool decks, swimming pool paver decks, swimming pool pumps, swimming pool filters, swimming pool heaters, swimming pool salt systems, swimming pool water features, serving Pinellas County Florida. All images are exclusive to Pool & Spa Creations, Inc.
© 2018 Pool & Spa Creations, Inc., All Rights Reserved. | Website Hosting by K.Tek Systems Inc.